Buying a new home may be the biggest investment you’ll ever make. Although the process is very exciting, it can become quite overwhelming. The home you are selecting may appear to be the perfect home, but, how can you be sure? Are there potential, serious or unknown defects? Having Interstate Home Inspection professionally inspect your home early in the buying process can potentially save you thousands of dollars or you may have the opportunity to negotiate with the seller or builder to repair these items. 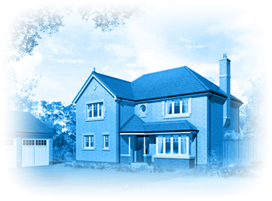 Interstate Home Inspection is dedicated in providing you with valuable information about your new home. We thoroughly inspect all major components of the subject property to expose unknown defects and advise you about future maintenance for your home during the inspection. Interstate Home Inspection will give you the required information you need to make an informed decision. To avoid a bad decision, making the call to have your property inspected before purchase is a big one. According to the National Association of Realtors (NAR), 77% of homebuyers get their home inspected before purchase. Along those same lines, 99% of realtors in our country recommend that they do! The major areas for an inspector to look are… electrical, interior, baths, kitchens , general construction, foundation, exterior, heating and cooling systems, plumbing, roofs, and attached structures. Be sure that you prospective inspector belongs to accredited groups. And always be sure to read reviews and testimonials from clients that have used their services prior to you. Interstate Home Inspection is featured on Zillow.com in the Richmond, VA area.